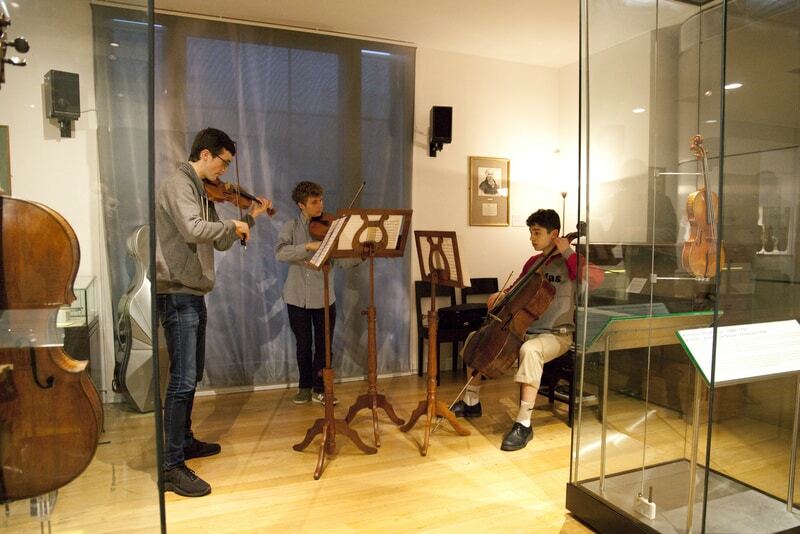 When Gabe Gale, curator of the Royal Academy of Music Museum, set about creating a rehearsal area for students, she needed music stands which would not look out of place in an area surrounded by historic instruments. Black Cat Music came to the rescue and supplied four, solid rosewood, Regency stands which, as the photo of the Aster Trio show, really looked the part. To many of us of a certain age, their first experience of a music stand was at school with a rather wobbly contraption made of thin metal which, if you tried to adjust for height or angle, would promptly collapse spreading your sheet music over as wide an area as possible. These stands also seemed to attract the attention from certain pupils determined to bend them into a series of artistic and abstract shapes. Whilst products like Black Cat Music’s best seller, the Classic 50 overcome the problems of our youth, sometimes something more ornate is required, where the stand not only needs to be functional but fit within the décor, almost like a piece of furniture.